You know I’m not a lipstick gal but lately I’ve been in a shopping spree for Catrice lipsticks. 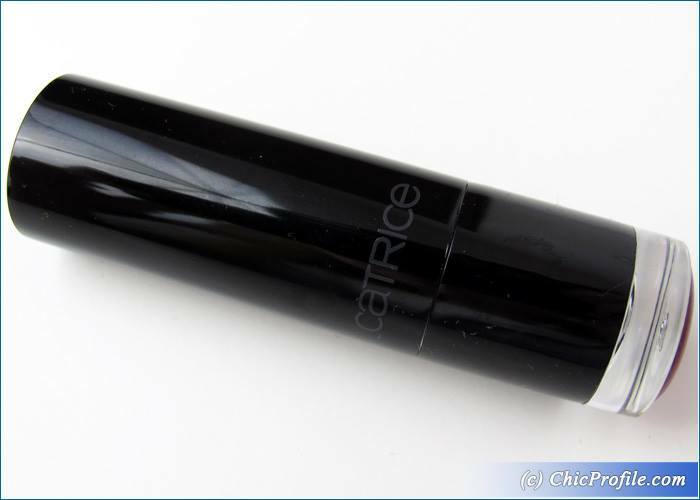 My latest acquisition is Catrice Berry Bradshaw Ultimate Colour Lipstick, a lip product whose formula is known to me. 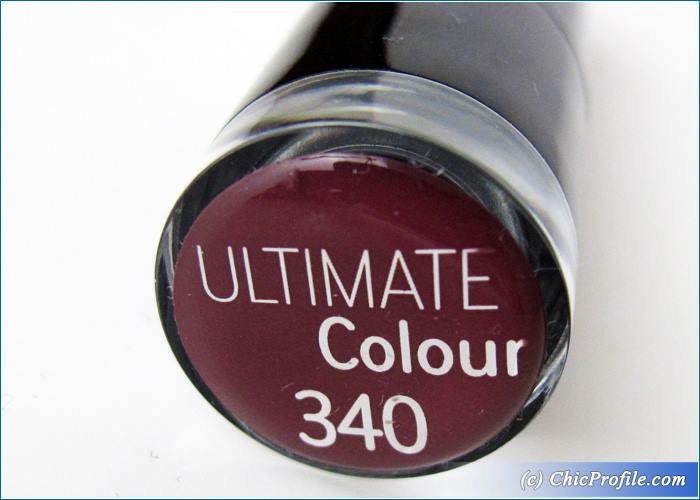 There’s a variety of shades of Ultimate Colour lipsticks and they are all pigmented. 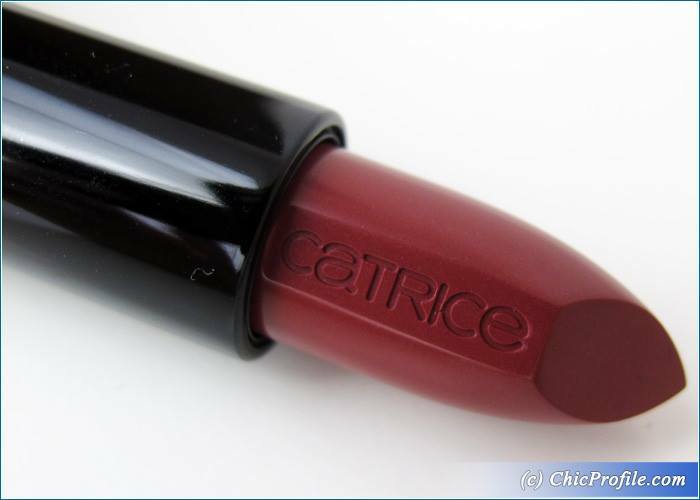 Catrice #340 Berry Bradshaw Ultimate Colour Lipstick (€3.95 / 19.50 Lei for 3.5 g / 0.12 oz) is a dark reddish brown with cool undertones. 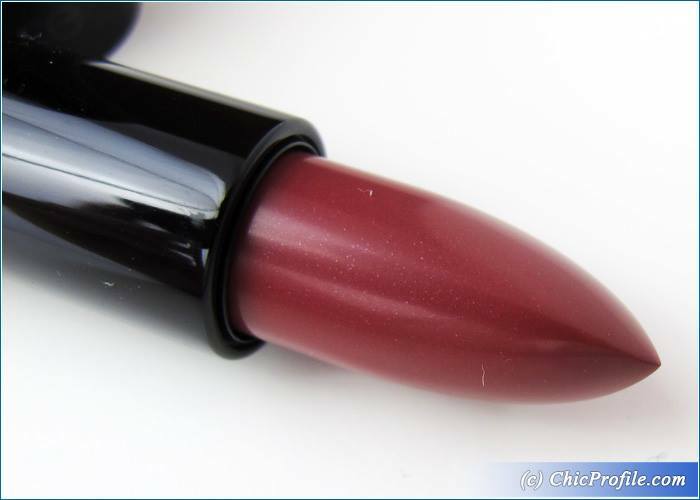 It is a rich, deep and super pigmented color.It has a super creamy formula, that feels so creamy and smooth and glides evenly and easily across the lips. 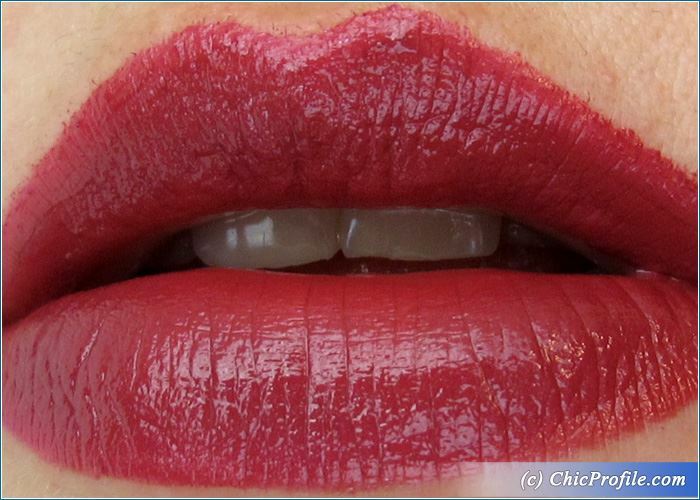 It provides a natural sheen and makes lips appear fresh, with a consistency that doesn’t emphasizes lip lines. It feels so lightweight and comfortable on the lips and at the same time I feel them quite hydrated. It goes on well for about 6 hours on me without leaving a stain. At the end the formula was nor drying nor hydrating. 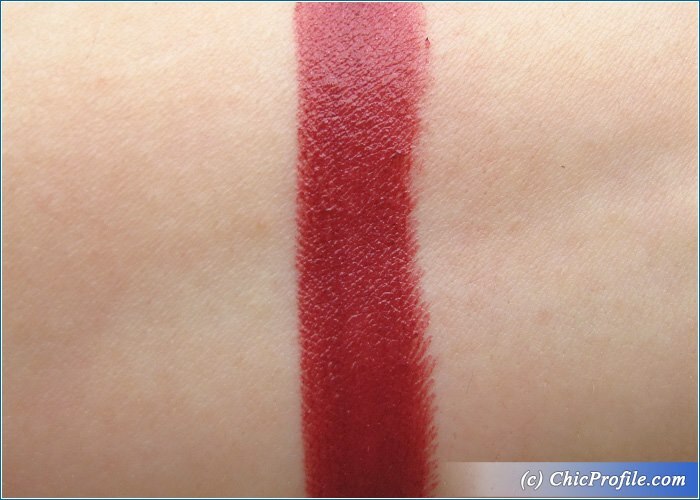 The color can be considered a little dark for those with fair and light skin tones, just like me, but I make it wearable….using it for a night time makeup and paired with a more natural makeup look. The packaging is simple but I would consider it quite chic as the lipstick comes in a black luscious tube. 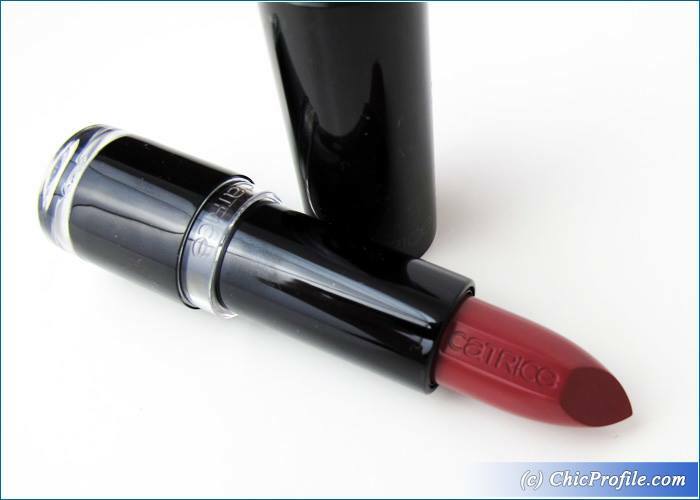 The lipsticks is embedded with Catrice letters.